John F-ing Kerry - Protect yourself from evil George Bush! 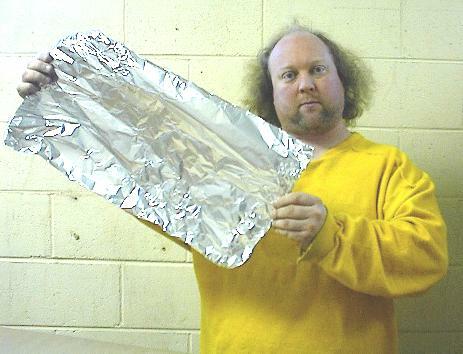 Procure a rectangular piece of tin foil twice as long as it is wide. 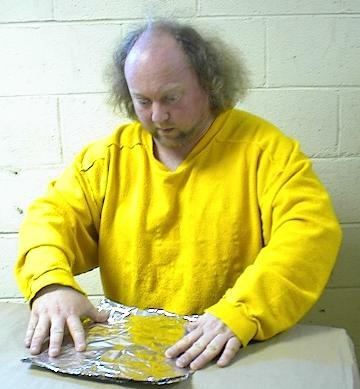 (Note: You must use genuine tin foil, as the Homeland Security Act is forcing a phase-out of tin in favor of aluminum in order to make it harder for us to block their spy beams). A rectangular piece of tin foil. 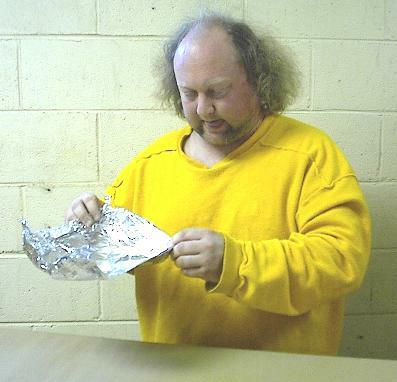 Fold the foil in half so that it is now in the shape of a square. 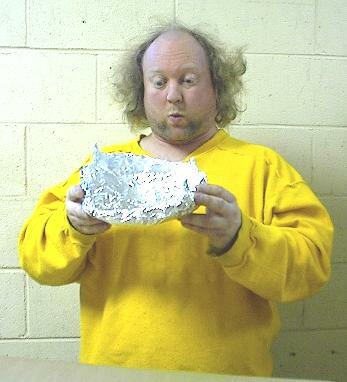 This makes the tin foil double thickness! Now comes the tricky part. Twist each corner of the square in a counter -clockwise direction to take up the slack in the edges. This forces the piece of tin foil to assume the important 3-dimensional curve that will conform to the shape of your head. Oooh, this is the shape of my skull. 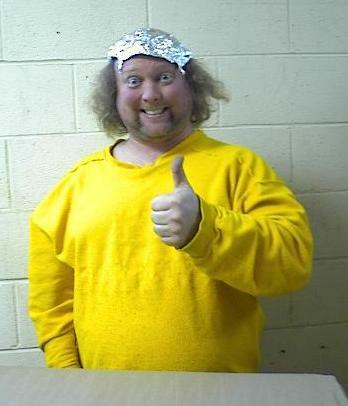 Place tin foil hat on your head to protect your brain from evil George W. Bush influences. You're all set!